Raising and keeping livestock for Apocalypse living requires that you understand the responsibility that comes with taking ownership of animals that you will use for food and even clothing. Livestock usually depend on their owners to provide feed, shelter and clean living conditions. Small animals are often easier to raise and maintain than large animals such as cattle, goats, sheep, and pigs. You can use chickens, ducks, and other birds as livestock for Apocalypse survival. All provide eggs and they can provide meat when they no longer produce those eggs. Chickens are a popular choice for livestock as various chicken breeds are suited to particular climates. 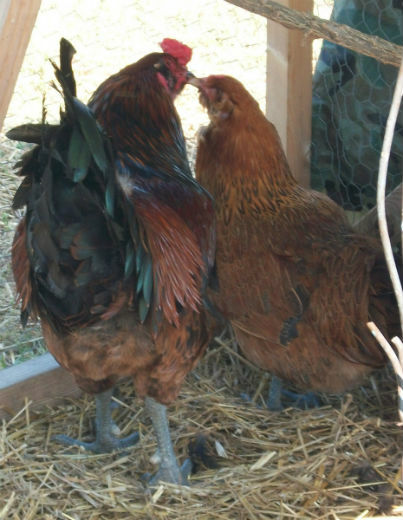 In cold weather climates frostbite is a problem for chickens with long combs but breeds such as Ameraucana, Dominique or Buckeye chickens can handle the cold. Egg production drops off when daylight shortens or if their diet does not contain enough protein. One way to ensure enough protein is the Proto Pod that converts food left overs to high protein soldier fly grub for feed. Besides needing to provide food for chickens, they need protection from predators and if you are trying to hide, they can be noisy. Ducks eggs are larger than chicken eggs however, you must provide a water source such as a pond or duck pool. Ducks can be noisy also, they too need protection from predators but if they have pond access year round, they can provide their own food. Guinea fowl are self-sufficient livestock for apocalypse life and will find their own food, eat ticks and other pests around your survival shelter and nest in trees at night to avoid predators. Their eggs are a little smaller than chicken eggs and frequently, they become wild and difficult to catch. Guinea fowl sometimes fly away even when you feed them. Some preppers prefer rabbits for food and you can use their skin for mittens, hats and even warm jackets. The meat is high protein and tasty as some city restaurants offer it as a specialty. 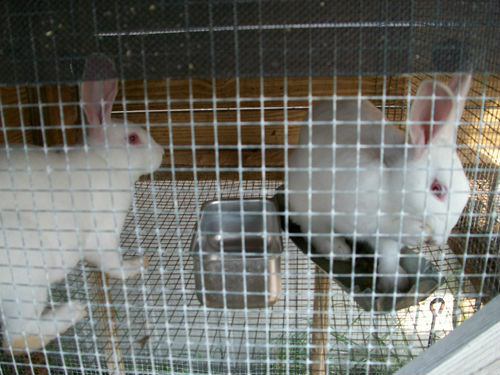 Rabbits eat grasses, vegetables and feed, they need to be kept dry and out of extreme heat and drafts. They also need to be protected from predators, but reproduce rapidly and they are large enough to eat in two to four months from their birth. Cavy or guinea pigs are also a choice for livestock for apocalypse living as they reproduce quickly and are a great source of meat. They eat vegetables and grasses and mature into adults at about three to six months. They provide a fresh supply of high protein, low fat meat, but they are small and the meat cuts often contain small bones. 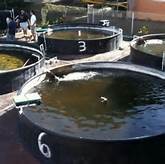 Some preppers choose fish as livestock for apocalypse survival and they keep tilapia in tanks and aquariums but tilapia need a warm climate to survive. You need separate tanks for the adults, for egg carrying adults and for the newly hatched young. Raising tilapia in tanks can be labor intensive in providing water filtration unless you can develop a hydroponic system. You can keep catfish in barrels with some grass carp to get rid of the algae, but you need to feed them daily with feed or earthworms. Fried catfish is a nice meal, and probably even more so in Armageddon. As with all prepping, you need to practice before the catastrophe happens so if you get your livestock for Apocalypse survival now, you have access to experts who can advise and answer questions. Preparing the meat in different recipes with ingredients you will have available after Armageddon, not only gives you experience but also it allows you and your family to develop a taste for different foods. Practice also allows you to experiment with a few different species to find what is right for you and your family. When you’re a novice in raising animals, you will have your animals get sick at some point, and you won’t know why. So having solid veterinary advice and a small stockpile of medicines for your animals is a good reason to practice beforehand.